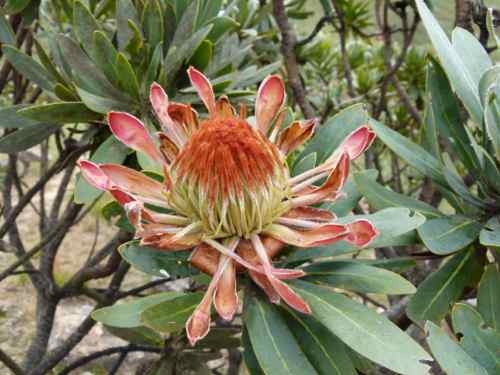 South Africa - More Here Than Just Safaris! ...but I mention it to illustrate the point that it's really a pretty easy country to travel in. Part of your problem in planning a trip there will be to decide how to spend your time. 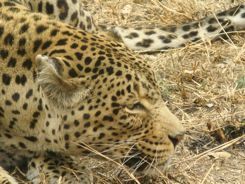 There are safaris, of course, but there is so much more. ....just click on any of them. Capetown is a beautiful little city. We wanted to see Table Mountain and get to Cape Point and the Cape of Good Hope. And though the Cape of Good Hope doesn't really mark the dividing point between the Atlantic and Indian Oceans, it was the landmark we wanted to visit. Plants I've never even heard of... but then I'm not really a gardener. A little inland, you find the great wine regions of Paarl, Stellenbosch and Franschhoek. The wines they are producing rival anything in the world. We drove ourselves around and had a great time tasting there. 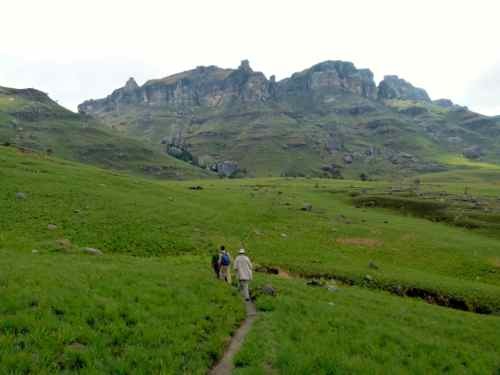 The uKhahlamba Drakensberg Park has the highest mountain range in Africa south of Kilimanjaro. They’re totally different from that stand alone peak. 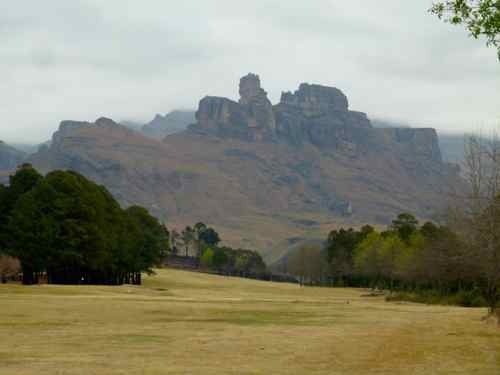 The Drakensberg Mountains are known for their fantastic shapes. 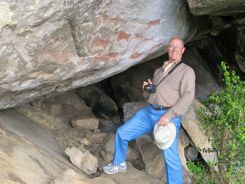 You can explore there for rare animals and ancient rock art. There are great places to stay. We stayed at a place called the Old Hatchery.…. and guess what… they say the fishing is good there too. More than 1,500 miles (2,500 km) of coast. ...and all the way to the subtropical border shared with Mozambique on the Indian Ocean. South Africa does have a reputation for a high crime rate, but it is mostly restricted to the townships and not the tourist areas. Check with your government travel advisory pages for current information. You should always practice your travel safety precautions, but we always felt safe enough. We didn't drive at night, but then we generally always try to have our hotel before it gets dark, no matter where we are. After our walk across the border, the first thing we did was to drive straight to Kruger National Park. On that trip it was a "do-it-yourself" safari. 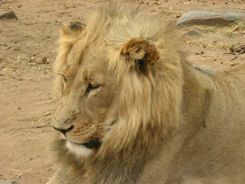 You can see the "Big Five" and all the other animals that you've always heard of in Kruger. 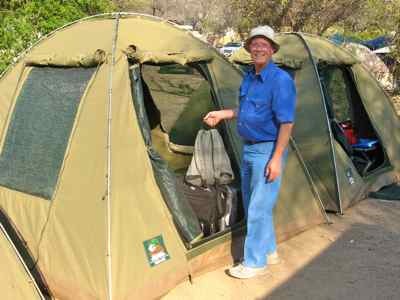 In Kruger you can stay at National Park accommodations or camp on your own. There are many “private concessions” next to the park itself which expand the territory the animals have to roam. They’re good for your safari too. There are several National Parks all over South Africa. You’ll have to pick a region. Your safari experience can range from that do-it-yourself type of experience to the most luxurious safari camps. We have driven some ourselves through the years, and been driven in others. Driving from Kruger to Johannesburg are good. And driving from the Botswana border to Kruger was fine too. We really have only JoBurg, as the locals call it, as a transfer point. We drove to the southern capes, and we also drove the Wine Route from Cape Town through Stellenbosch, Franschhoek and Paarl. You can grab a wine route map at most tourist information centers and at the wineries. Be careful about drinking and driving. And we drove from Durban to the Drakensberg mountains. It was a little harrowing on the freeways around Durban... it's a big city. Keep in mind, if you drive, it will be on the left. 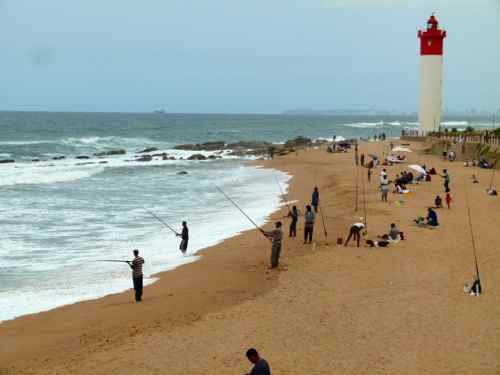 There is so much more in South Africa than just safaris.... You have to plan what part of the country you want to see.